A recent World Resource Institute (WRI) report “Shifting Currents: Opportunities For Low-Carbon Electric Cities In The Global South” says that Electric Buses in India should not be encouraged or subsidized since India’s power generation is highly dependent on fossil fuels leading it to emit more than 600 tons of carbon per GWh of electricity produced. It is a highly backward and specious argument. Electric vehicles are not only important from the perspective of fighting global warming but they are also important from the view of India’s energy security, pollution and advancement in terms of modern technology. Also, more than 50% of India’s new power capacity additions in 2018 was from solar energy. India’s power system is accelerating towards becoming more greener and environment-friendly and it is expected that more than 40% of India’s power generation will come from clean sources, over the next decade. Adopting a narrow view by WRI gives ammunition to climate sceptics. The higher cost of electric buses is also not a great argument given that the running costs of electric buses are much lower than that of diesel buses, plus with increasing scale and manufacturing of electric buses, the capital cost should decrease drastically. Thinktanks adopting narrow and wrong views are disastrous for India’s future as they create more problems than what they solve. Using wrong analysis can create havoc with policy-making and affect millions of lives. Thankfully India does not depend on such thinktanks for policymaking. India’s new FAME 2 policy for electric vehicles provides capital subsidies for 7000 buses to be bought by various state transport undertakings. Even beyond this, new business models are being adopted whereupon the STCs can lease buses and pay based on their operating costs rather than paying a large upfront capital cost for these buses. This will allow a greater adoption of electric buses by India’s various cities. 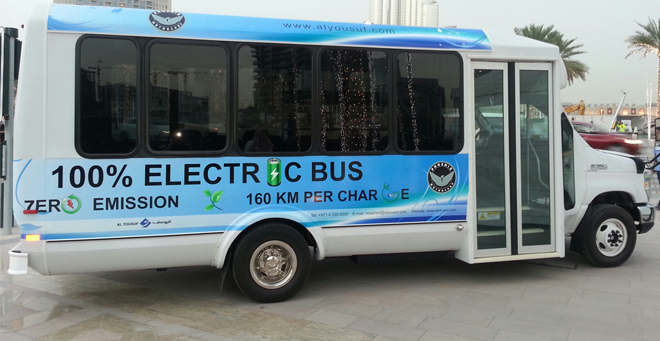 Given the high pollution caused by diesel buses, electric buses will provide a huge boon. China is already running more than 200,000 electric buses and saving millions of tons of diesel. This is not only important from the point of view of the environment but also meeting the country’s strategic goals. The benefits of manufacturing and R&D is also immense as China has become the leading manufacturer of electric buses exporting it to Europe, India and other places. The supply chain developed is also creating millions of jobs.